Here’s a look at the tournament’s top seeds and sleepers, along with some of our predictions for which teams will make some noise in this year’s road to the Final Four. This year’s tournament is more wide open than it has been in the past. 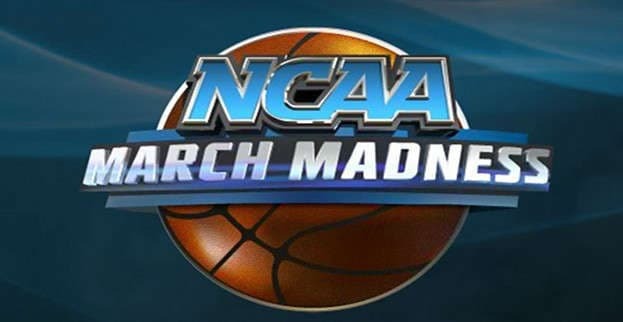 If you are looking for extra value from your sportsbook, then be sure to see the NCAA March Madness bonuses and promotions guide I wrote earlier. All our odds are provided by Bovada.lv. Surprisingly, the No. 1 seeds did not impress the oddsmakers. Top seeded Florida, fresh off their win of the SEC Tournament leads the field with 5/1 odds to win the Men’s Basketball Championship. Next up in the pecking order, we have Michigan State. Tom Izzo’s No. 4 seeded Spartans are just narrowly behind the Gators at 6/1 to win it all. It is an impressive ranking for Michigan State, but let’s remember they were a top five ranked team earlier in the year. They are now fully healthy and are coming off a Big Ten Championship. Another No. 4 seed is third in line to win it all, at least according to the bookies. The Louisville Cardinals, the reigning National Champions have a solid chance at a repeat performance in the Final Four. Listed at 13/2 to win the title, Louisville went 29-5 on the season and won the regular season ACC title. All five of their losses came against ranked opponents. The Arizona Wildcats, a No. 1 seed out of the West Region come in at 9/1. Still getting more respect that other No. 1 seeds, like Virginia and Wichita State, Sean Miller’s squad are as capable of a threat as any to head to the Final Four. The PAC-10 regular season champions are one of the strongest teams defensively in the tournament and perhaps the most athletic. We’re not saying that these teams are not national title contenders because they absolutely are. However, the oddsmakers have them all listed at 12/1 or worse to win the title. This includes the storied Duke Blue Devils, (No. 3 Seed), Kansas Jayhawks (No.2 Seed) and No. 1 seeded teams, Virginia and Wichita State. While the Cavaliers and Shockers have captured the attention of the selection committee, their future odds to win are less than desirable, especially for being top seeds. Virginia has exceeded expectations, but few (outside Charlottesville anyway) view them as favorites to win. They have already overachieved this season and have lost just one game in the past two months. The Wichita State Shockers have gotten their just reward for becoming the first undefeated team in 23 years to enter the tournament as No. 1 Seed in the Midwest Regional. The Gregg Marshall led Shockers had a Cinderella Final Four run in last year’s tourney, and no one can longer underestimate a team under Marshall’s leadership. The reigning Missouri Valley Champions went 34-0, but failed to face one ranked team all season. It is tough to envision a program of their stature making back-to-back Final Four appearances, but then again, they have yet to lose a game. Nearly half the field are projected at 100/1 or more to win the Championship, some serious long shots. Most teams seeded No. 13 and above are 1000/1 to take down the NCAA Title. We’re going to focus on some higher ranked seeds that have a real chance to make some noise late in the tournament. The No. 4 seeded UCLA Bruins are playing some excellent basketball coming into March Madness. They took down the Pac-12 Conference Tournament after knocking off the NCAA tournament No. 1 seeded Arizona Wildcats, 75-71. Their path in the South Region is among the most favorable in the tournament, which would put them on a collision course with Arizona in the Final Four. At 40/1, the Bruins have some appeal. Like UCLA, No. 3 Syracuse has a favorable draw in the South Region, but their recent string of losses did get them pushed out of the East Regional and a chance to play at Madison Square Garden. Still, the Orange have an excellent coach in Jim Boeheim and a chance to run the table until they face the aforementioned Bruins or Gators. They are currently going off at 20/1. The Villanova Wildcats are one team that is flying under the radar nationally. The No. 2 seeded Wildcats may have had some terrible losses in recent weeks, but have had a nice stretch of matchups in the East Region. Jay Wright’s ball oriented guard heavy offense is proficient, and this team has at least an Elite Eight appearance written all over them. Current odds to win the title are 25/1.